T-SEC is a Hudson Valley partner to businesses, entrepreneurs and SUNY Colleges in the Hudson Valley. A 501c-3, T-SEC (The Strategic Economic Consortium) has developed a reputation in the Hudson Valley for being an Economic Development Agency (EDA) and a non-profit partner focused on economic growth and growing the regional economy. T-SEC does so by making equipment and training available to partner organizations which are manufacturers, colleges, and Accelerators in order to train and grow a talented workforce. T-SEC focuses on job retention and job growth and believes that workforce development is key to these goals. It offers access to specialized equipment to its partners and across economic clusters. For instance, hi-tech manufacturers may host sophisticated equipment so that the host company and other individual companies and colleges have access to it for training and production purposes. T-SEC does this by creating unique partnerships with manufacturers and entrepreneurs, and SUNY Colleges, and Accelerators. These partnerships feature T-SEC funde SMARTT Labs and SMARTT PODs at respective partner locations. T-SEC works with its partners by funding, equipping, and building out SMARTT Labs and SMARTT PODs (pods – production on demand spaces – are typically shared workspaces where production occurs). Located at strategic, regional sites throughout the Hudson Valley, Labs and PODS are usually found on the campuses of partner manufacturers, colleges, or Accelerators. The Labs and PODs feature sophisticated equipment, for instance CAD-design equipment for rapid prototyping. Other types of highly specific hi-tech equipment needed for advanced manufacturing tasks are also in T-SEC’s Equipment Library. The Equipment Library has a CMM machine which is a measurement machine currently on loan host-partner, manufacturer Fala Technologies where it is a part of a GD&T training program offered by SUNY Ulster. The “SMARTT” in SMARTT Labs is an acronym that stands for SUNY Manufacturing Alliance for Research and Technology Transfer, a grant-funded program through New York State. Businesses utilizing T-SEC funded SMARTT Labs can grow new areas of expertise without expensive capital outlay. The model T-SEC uses is one based on partnership and shared use of assets both to industry and to a community of start-up and existing entrepreneurs and manufacturing businesses. Another manufacturing partner in the Hudson Valley is Sono-Tek, a leading hi-tech manufacturer. T-SEC provided it with a scanning electron microscope which it also shares with other area manufacturers. 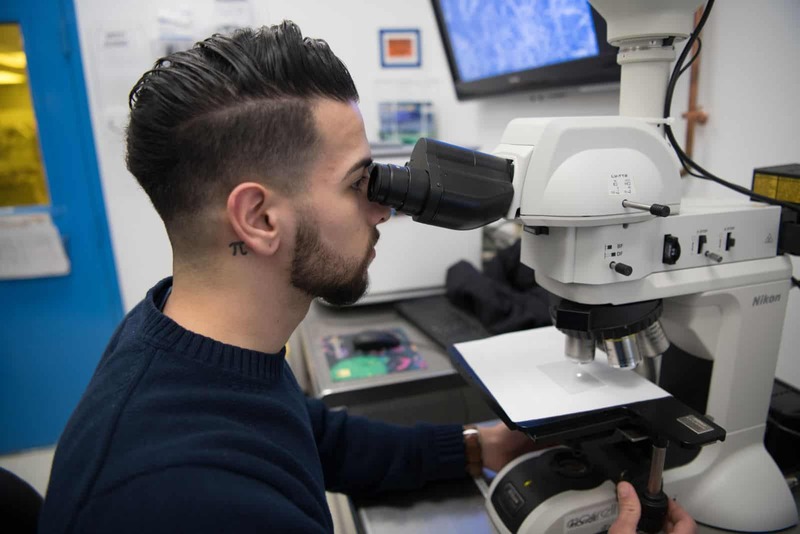 By partnering with Academia (throughout the Hudson Valley region)T-SEC cultivates a connection amongst businesses to the equipment as well as the many educational resources in the Hudson Valley where SMARTT Labs may be located. This fosters access to equipment, but also to the training programs available to use the equipment. For example, one of T-SEC’s most impressive labs is its 3D Printing SMARTT Lab located at SUNY Rockland’s Haverstraw Center in Haverstraw, N.Y. 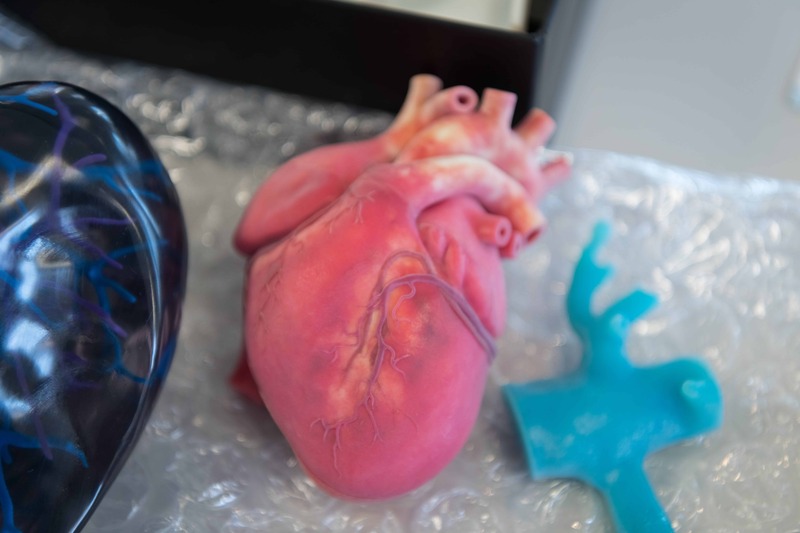 The 3D SMARTT Lab is emerging as a medical-field, prototyping powerhouse with clients such as Brent Chanin’s Mediprint, a Goshen, N.Y.-based operation. Mediprint specializes in 3D printed models for surgical practice and orthopedic medical school instruction, as well as other uses. 3D printed model of a heart printed at T-SEC’s 3D SMARTT Lab in Haverstraw, N.Y. The Computer Sensor SMARTT LAB, SUNY Sullivan, Loch Sheldrake, NY. Chief among T-SEC’s many partner organizations in the Hudson Valley is the Orange County Accelerator. It is the only state-certified Incubator in the region. 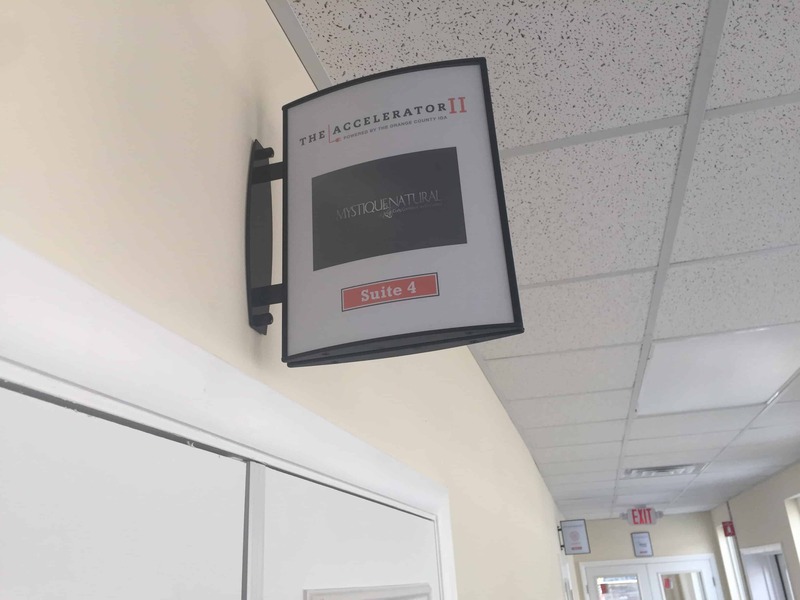 Interior shot of signage outside an Accelerator SMARTT “Pod” located at Avenue of the America’s in New Windsor, N.Y.
T-SEC, led by Carl Meyer, and the Orange County Accelerator have partnered in way that has benefited the Accelerator via capital improvements. “We realized what people often need is access to one specific type of technical equipment that is either a too large, or too expensive piece to own on an individual basis. “And so we are interested in helping fund the kind of capital-intensive equipment that will help these small and medium-size businesses scale-up.” he said. 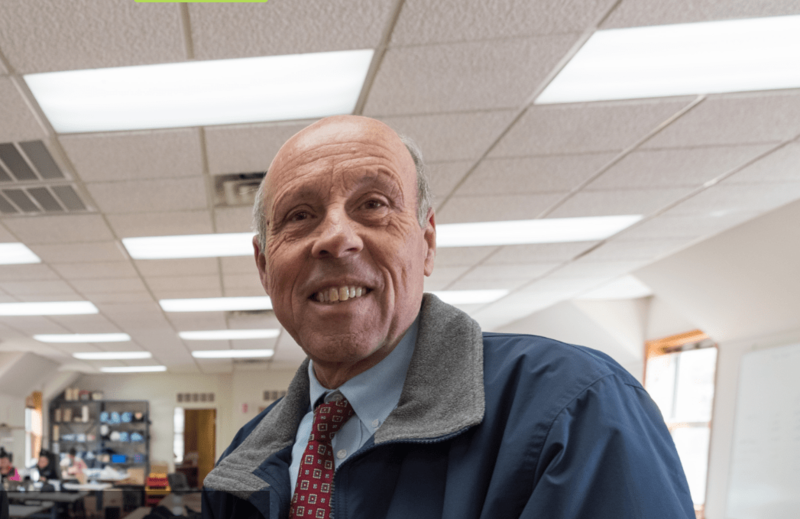 Meyer points out that as a result of his business background (he headed Central Hudson, the energy utility) he has numerous relationships with significant business entities across the Hudson Valley Region. T-SEC besides working with manufacturers and colleges also supports the marketing of Newburgh with A River of Opportunities, an online digital marketing campaign designed to drive awareness about the large inventory of historic warehouse space and light manufacturing and mixed-use space in Newburgh. A River of Opportunities also promotes creative makers and the creative maker events because its founders believed that people and businesses are interested in other people and cultural opportunities and not just buildings. This website, newburghny.org, is one of the digital assets A River of Opportunities owns, along with a Facebook presence, Instagram, Twitter, and You-Tube presences.